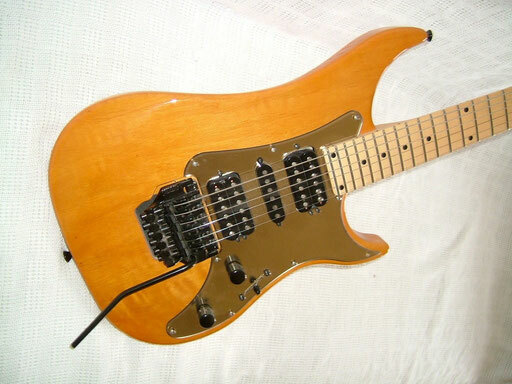 VIGIER EXCALIBUR STANDARD - guitarfritzs Jimdo-Page! 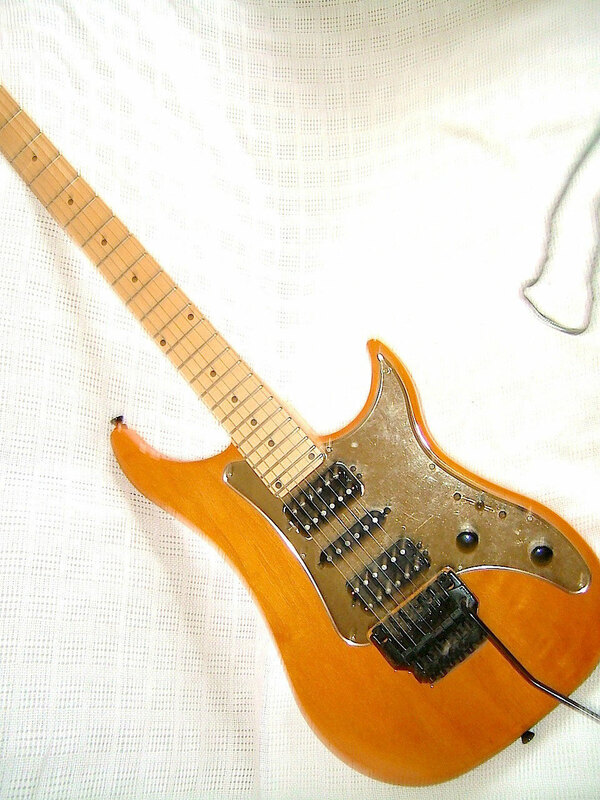 This is a great guitar! Built quality is "vraiment extraordinaire, superbe, excellente, magnifique, admirable"! carbon rod. No adjustable truss rod needed! And ist works very well and contirbutes to a balanced sound. No dead spots anywhere. 24 nice fat frets, impeccable fretwork! The handle of this Kahler vibrato is a bit slack. The Kahler was upgraded by Patrice Vigier in that it moves on two ball bearings. The body is beautifiul alder and light and resonant. ...don`t know exactly what models. 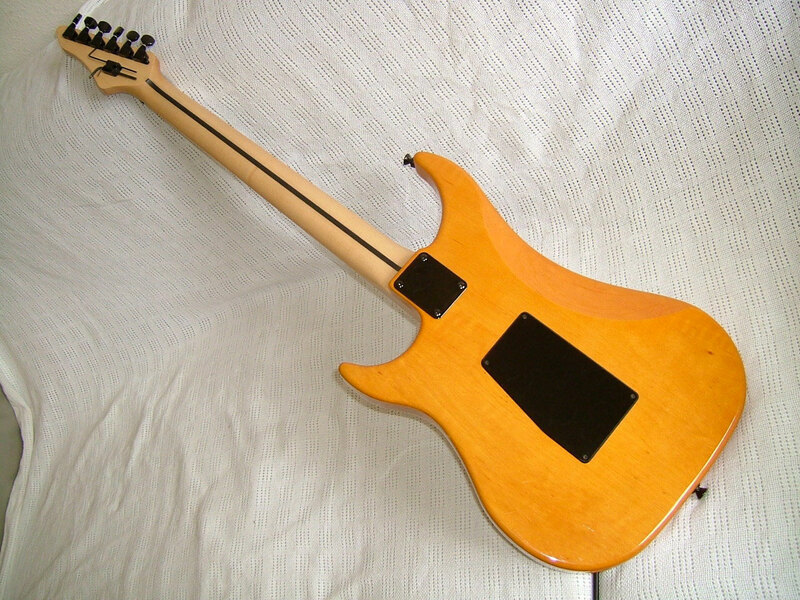 The fat pickguard is a lightly tinted plastic mirror. This guitar really is a shredder`s dream! Humbuckers and / or singlecoils. But it is not just for Metal or Progrock. and the neck humbucker can do jazz ...if you can. sounds in position 2 and 4 are convincing. I gigged it several times. 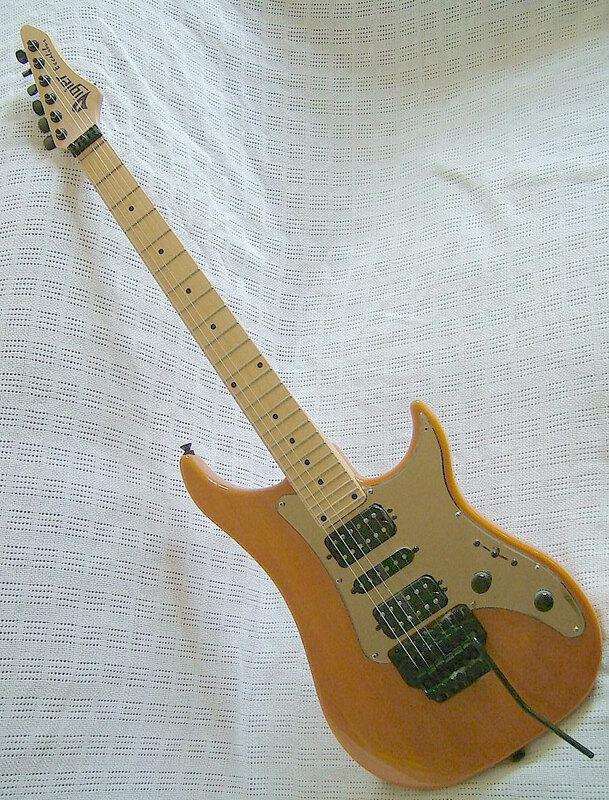 It was my very first real good guitar. It is far better than the Gibson SG Standard in many respects, but only a total idiot would trade this Vigier in for an SG with an original autograph by Angus Young. Only a guy like me.